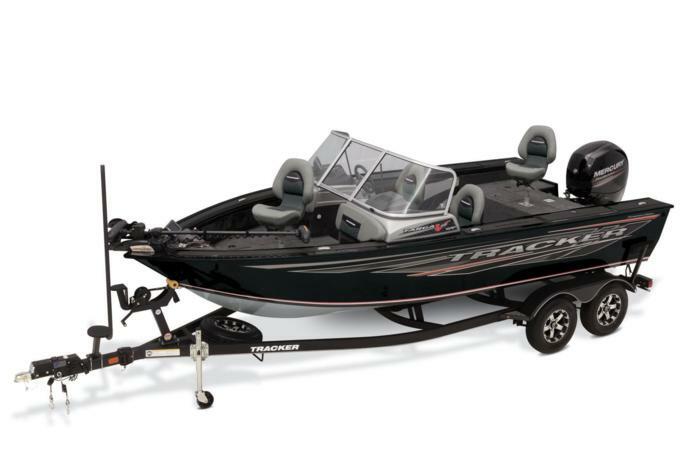 2019 TRACKER® TARGA™ V-19 WT Tournament Ed. The Boat for Summer Sales Event is going on now. Get a $1,000 gift card and $300 in gear—FREE!—with your purchase of a new 2019 or prior model year TARGA™ V-19 WT Tournament Edition. Hurry! This offer is only available for a limited time. See dealer for details. Maximize fishing and fun in our biggest all-welded aluminum Deep V! 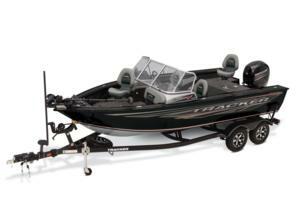 The TRACKER® TARGA™ V-19 WT Tournament Edition is all-welded, with a thicker .125 aluminum hull for ultra-strong Deep V performance. Our exclusive Diamond Coat™ is the most durable, color-fast boat finish in the industry. The Tournament Edition is factory-outfitted with 2 fishfinders and a Minn Kota® Terrova® 80-lb. thrust, 60" shaft trolling motor with i-Pilot Link. And like every TRACKER, it’s backed by the TRACKER Promise—the best factory warranty in aluminum boats.